This 6 hour tour by covered catamaran visits Cooks and Opunohu Bay. 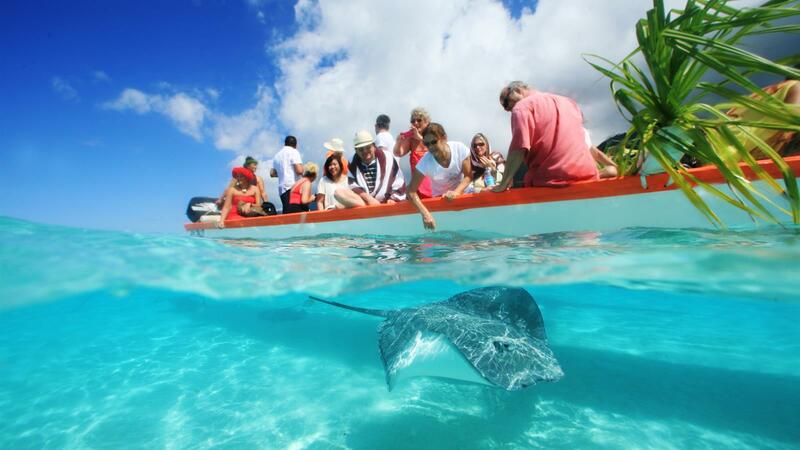 Explore Moorea's spectacular marine life, including shark and ray feedings. There will be time for snorkeling and shelling and a pareo tying demonstration on the Motu. Enjoy a Polynesian BBQ for lunch, accompanied by fresh fruits and drinks. Tour includes pickup and drop off at your hotel and lunch.